is waiting for your visit! Planning for the world cup event that happened in June/July 2010 incorporated not only the new stadium but also the greening of Cape Town and also the revitalisation of the area known as the Green Point Common. This piece of land has been utilised for many purposes over the last 350 years but of late has been utilised as sports grounds for soccer, rugby and cricket. The area has always been a bit run down and had needed to be refurbished. It was decided that when the Cape Town City gave the go ahead to build the new Cape Town Stadium that a 12.5 hectare piece of land to the north west of the stadium would also be refurbished by building a new park which would be freely accessible to the public. This park would be designed along ecological principles and would include indigenous landscaping and multi-purpose spaces. In the early 1600's when the Dutch arrived in the Cape the Green Point Common was known as the Camissa valley and was inhabited by two tribes known as the Huri-!Xai Quena or "Sea-place Quena” and the Kurin gai-Quena or "Sea-food collecting Quena" also known as the Hottentots and Strandlopers. At the time there was a large vlei in the area which these tribes used to water their livestock. 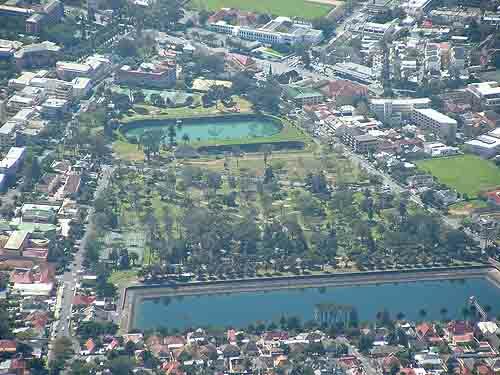 The vlei was filled in during the early 20th century, and in 1923, the Union Government granted the land to the Citizens of Cape Town for sports fields and for general public recreation purposes. 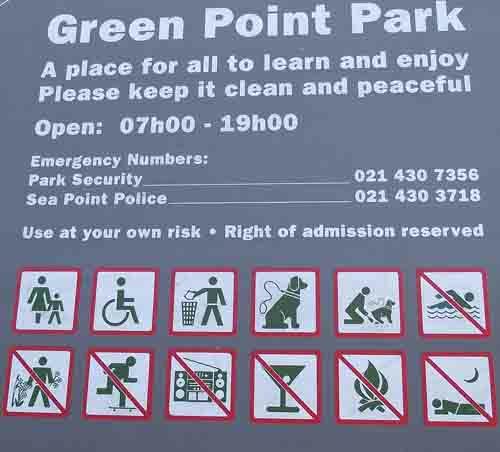 It is this land that has now been redeveloped into what has now become the Green Point Park. 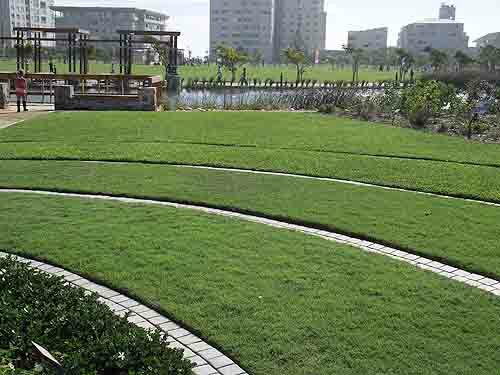 There are many parks and green areas in Cape Town so what is different about this new park. 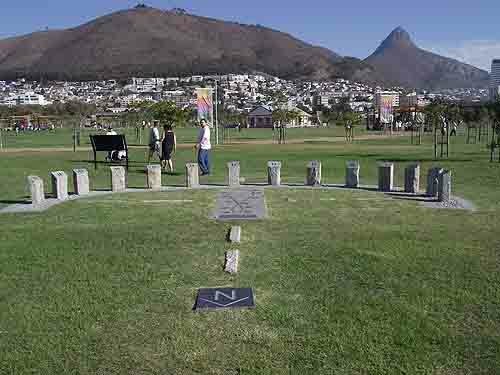 Green Point Park has been established as a biodiversity garden and contains over 300 of our local Cape plant species. 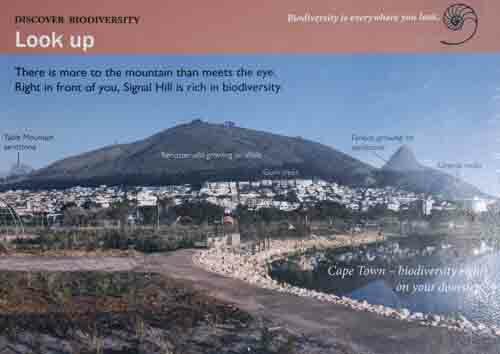 Cape Town is situated in the Cape Floral Kingdom and has over 8600 plants in its kingdom of which 300 plants have been selected to be showcased showcased in the biodiversity garden. Cape Town has a number of different veld types situated in and around the city. 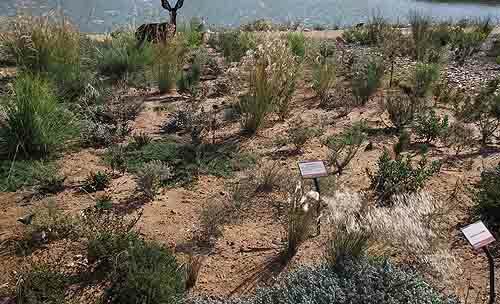 The Strandveld which is found along the West coast boasts a number of plants that grow on the dunes while Signal hill is known for its Renosterveld. The Renosterveld is found all over the Western Cape and sadly becauseof its fertile soil it has been removed and replaced by farmlands. 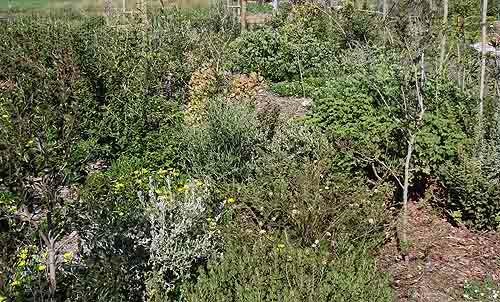 The Green Point Park has established areas within its boundaries where these different types of veld have been recreated and the garden has been themed into areas which they have named : People and Plants, Wetlands and discovering Biodiversity. The planners of the garden have laid out the garden beds in such a way that the signage which accompanies the plants in the different parts of the garden prompt you to look up and associate the vegetation type you are looking at with the area in which it actually grows on Signal Hill, Lion’s Head and Table Mountain. I found this very interesting and am including a picture of the signage with all the labels and an actual picture of the mountain for you to see above. Cape Town has a number of indigenous grasses growing around the city. In this park they have used four varieties of buffalo grass which visitors are allowed to feel with their toes. This grass is very well kept and although I recommend that the public uses these waterwise grasses in their gardens I know it will be difficult for most people to get their lawns to look like the examples. Although the grasses are waterwise they require plenty of water to look their best. 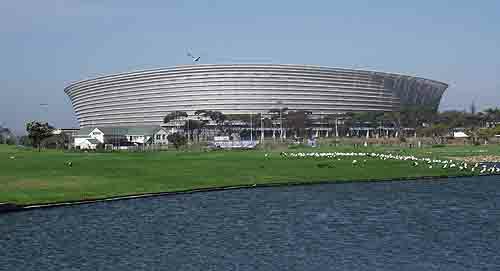 Before establishing the Green Point Park it was decided that water for the park and the new Cape Town Stadium and Metroplitam Golf course would not come from the drinking water supplied from the dams in and around the city. A new source of water had to be found. The developers did some research and discovered that back in the 1600's it was water that attracted the Dutch and the other seafaring nations to the Cape and it was the water flowing from Table Mountain that attracted the Khoi and Strandlopers to the areaIt was this discovery that made them look at the mountain for as a source of water for the park. What is strange is that the water flowing off the mountain was always used to supply water to the city and yet the developers of the garden discovered that this was in fact not the case anymore and that millions of litres of fresh water were going to waste. I am sure that many Capetonians would not have known this and if they had most probably would have wanted to know why the water was being wasted. What in fact happened was that in the early 90’s the " compromised potability" of the spring water from the mountain led to a decision by the City of Cape Town to divert the water away from domestic use and let it go to waste. This poor decision must have cost the taxpayer millions of Rand over the years as it became necessary to find other sources of water to take the place of the water going to waste. The new Berg River Dam in Franschhoek is one of the sources of water that had to be found. 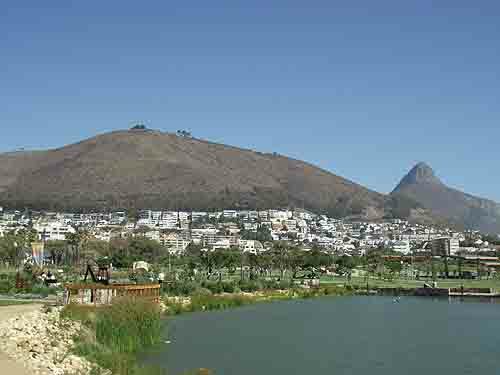 The water from the Oranjezicht springs on Table Mountain has now been diverted from going to waste and is piped to Green Point where it is utilised to water an area 63 hectares in size which includes the new park, Cape Town stadium and the Metroplitan Golf Course. It has been calculated that to water all these facilties 580 millon litres of water per year will required. 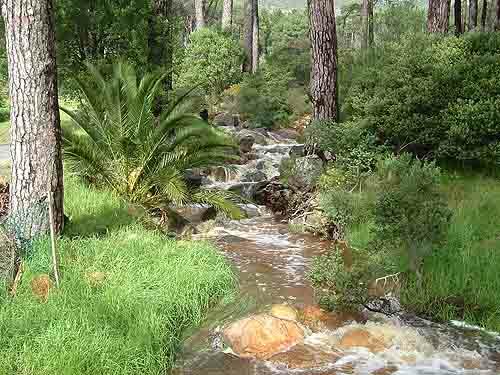 The Oranjezicht springs flow at about 40 litres per second so there is more than enough water to meet the requirements of the park. Other than the gardens the park has a number of lakes which add to the beauty of the area. 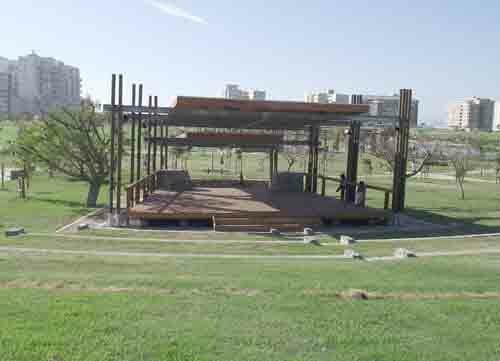 Lawned areas where children and families can play and have picnics have also been established. There areas even grassed hillocks for children to climb and roll down. A small amphitheatre has also been built should someone want to have a concert or play music in the park on a Sunday afternoon. A real interesting addition to the park is the Anelamatic sundial clock which has been built in the gardens. It has been put together in such a way that when you stand on the month of the year which is marked on the ground and put your hands in the air your shadow will fall on or between rocks with the hours of the day recorded on them. If you compare the time on your watch to the time you find on the sundial you will find that the sundial is very accurate and records the same time as your watch does. Gauging from the interest shown by adults I am sure that school kids will love testing the sundial and discovering just how accurately it tells the time. I was really impressed with this new garden and especially the biodiversity areas where plants and soil types have been displayed and labelled. This enables the gardens to be utilised for educational purposes by schools and persons wanting to learn more about Cape Town's plantlife. The gardens are open daily from 7.00 am till 19.00pm daily and entry is free. The only request is that the garden be kept neat and clean and that noise be kept down to acceptable levels. To keep the park safe security officials are on duty monitoring the gates and the behaviour of visitors. If you have the time visit this new park. In fact you can make a day of it by visiting the new Cape Town Stadium, the Green Point Lighthouse before taking a relaxing walk through the gardens of the new Green Point park.